WE ARE THE LEADING WEB DESIGINING & Development AGENCY LONDON We focus on developing a great understanding of you and your business. This creates a basis for us to be able to design and develop the right website for your business. Our web developers are tried and tested industry experts that have worked on a wide variety of projects. 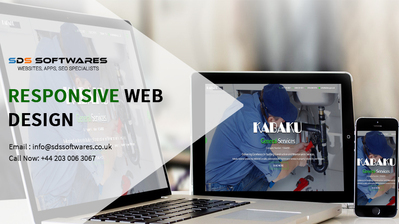 Our combined experience enables us to take a holistic and professional approach to formulating strategies, that consider the best methods to design and develop effective websites. Contact us to view our portfolio with over 100 clients. Call our 24 hr Helpline: +44 203 006 3067 Email-info@sdssoftwares.co.uk Visit us online for more information- http://sdssoftwares.co.uk/web-design-agency.php Respond to this ad to speak with our dedicated support team today.